FACT CHECK: Did trade ministry allocate N42bn to a private company? THE CLAIM: Sabo Mohammed, chairman of senate committee on trade and investment, raised the alarm recently that N42 billion was allocated to a private firm, the Nigeria Special Economic Zone Company (NSEZCO), by the ministry of industry, trade and investment. BACKGROUND: The ministry had proposed N15.63 billion as its budget for 2019. At the defence, Okechukwu Enelamah, the minister, was confronted by Mohammed who said the Nigeria Special Economic Zone Company included in the budget was not part of the 17 agencies under the ministry. He also said a document obtained by the committee from the Corporate Affairs Commission (CAC) showed the company is named Nigeria SEZ Investment Company Limited — not Nigeria Special Economic Zone Company as declared by Enelamah. CORRECT: TheCable confirmed that, indeed, Bakari Wadinga, Olufemi Edun and Oluwadara Owoyemi were nominated directors on NSEZCO. It is also true that the federal government of Nigeria (FGN) owns only 25 per cent of the company, while 75 per cent is held by A&O Secretarial Services Limited on behalf of a number of development finance institutions. INCORRECT: TheCable can report that NSEZCO is a private company, legally speaking. However, it is not a privately-owned company in the sense that the senator made it look. By Nigerian laws, a company must have up to 50 shareholders before it can be classified as a public liability company. In that sense, NSEZCO is a “private company” like the Nigeria Liquefied Natural Gas (NLNG) Ltd and all other companies where government is a shareholder. According to documents seen by TheCable, NSEZCO was incorporated in June 2018 as a “limited liability company” — the vehicle used under Nigerian laws for public private partnerships. NSEZCO is a product of Project MINE (Made in Nigeria for Export), a presidential initiative to develop world-class special economic zones across the country “to boost the manufacturing of Made in Nigeria goods for export”. Nigeria’s 25 per cent stake will be held on her behalf by the Ministry of Finance Incorporated (MOFI), the investment arm of the federal ministry of finance, while the rest is owned by A&O Secretarial Services Limited, as a nominee on behalf of a group of development finance institutions, also called the strategic investment partners of NSEZCO. The partners as listed by the ministry of industry, trade and investment are: African Export-Import Bank (Afreximbank), Bank of Industry Limited (BOI), Nigeria Sovereign Investment Authority (NSIA), Africa Finance Corporation (AFC) and African Development Bank (AfDB). All these are development finance institutions. The same investment model was adopted by the country for the NLNG Ltd, a limited liability company owned 49 per cent by FGN, with Shell Gas B.V. (25.6 per cent), Total LNG Nigeria Ltd (15 per cent) and Eni International (10.4 per cent) being the private investors. The Nigerian National Petroleum Corporation (NNPC) holds FGN’s shares. In the case of the African Finance Corporation founded in 2007 to finance infrastructure in Africa, the bulk of the shareholders are African financial institutions which own 47.6 per cent. Nigeria has 42.5 per cent stake in the multilateral development finance institution via the Central Bank of Nigeria (CBN). CONCLUSION: While Mohammed has named the three “directors” whom he said are aides of the minister, the ministry has sought to clarify that Bakari Wadinga, Olufemi Edun and Oluwadara Owoyemi are not shareholders. In truth, you can be a director of a limited liability company without owning shares and you can own shares without being a director. PPPs are registered as a limited liability company as required by the Companies and Allied Matters Act (CAMA). Wadinga, former director of revenue and investment in the office of the accountant-general of the federation and now permanent secretary, common services, office of the head of service, was appointed as a director representing MOFI on the SEZCO board. Edun and Owoyemi were nominated directors by the Enelamah — in consultation with the strategic investment partners (who own 75 per cent), the ministry said. This, it also said, was done only for company registration purposes while the partners perfect internal processes approving their decision to invest. Edun and Owoyemi are the leaders of the Project MINE delivery team. 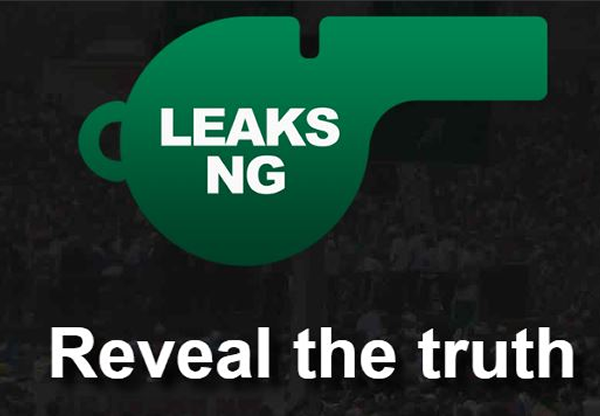 Their names appearing in the CAC documents has led to the classification of the company as “privately owned” by the senate committee but TheCable could not find any documentation proving that the three directors own any shares or have beneficial interests in the company. NSEZCO would not have been registered as a limited liability company without the names of at least two directors. This is global standard. TheCable saw correspondences between the Nigeria Export Processing Zones Authority (NEPZA), the statutory body in charge of economic zones in the country, and the office of the attorney-general of the federation which suggested that the body was not comfortable with the idea of NSEZCO. Abubakar Malami, the attorney-general, said, in his legal opinion, that there is no conflict with the relevant laws. The push-back from the NEPZA might have played a role in the current controversy between the ministry and its oversight committee in the senate.